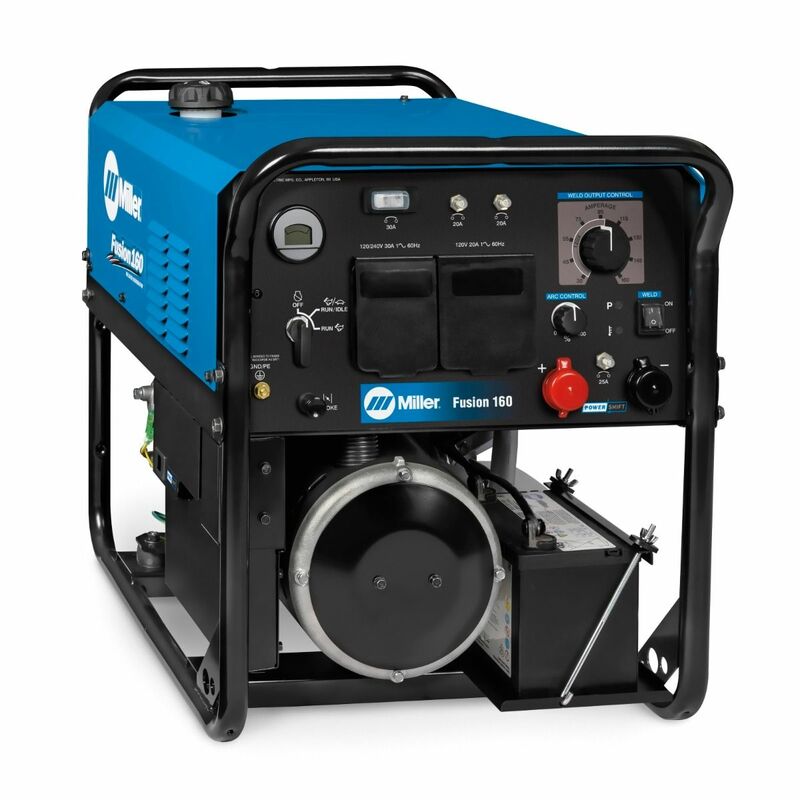 The Miller Fusion 160 offers the revolutionary "Power Shift" technology whereby the generator can be used on gasoline or 120/240V utility power. 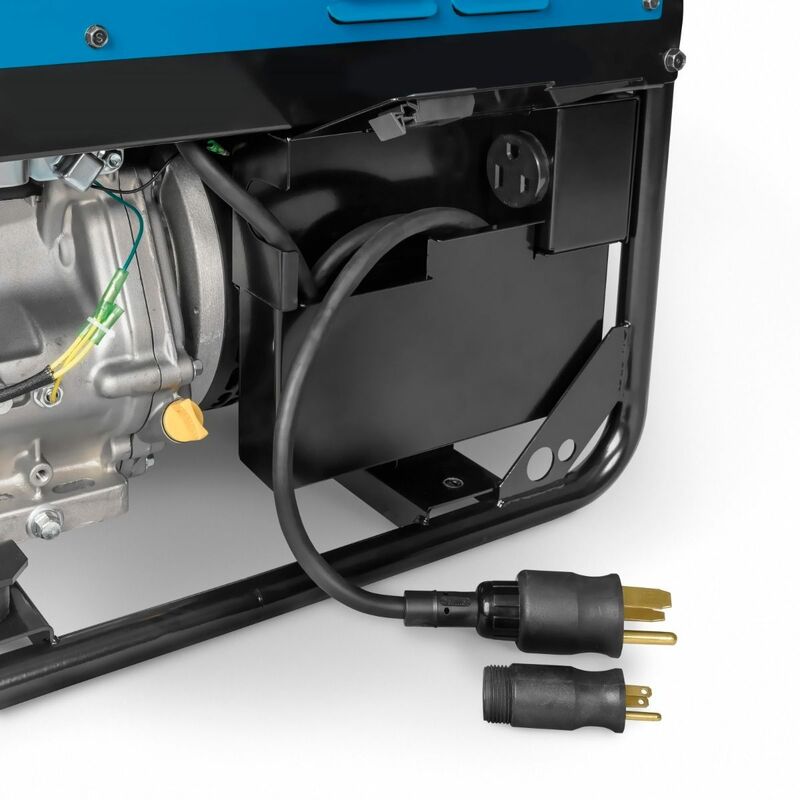 Power Shift allows the user to virtually weld anywhere - gasoline powered in the field or switch to outlet power when moving indoors. The MVP (multi-voltage plug) allows the generator to plug into 120V or 240V outlet power. 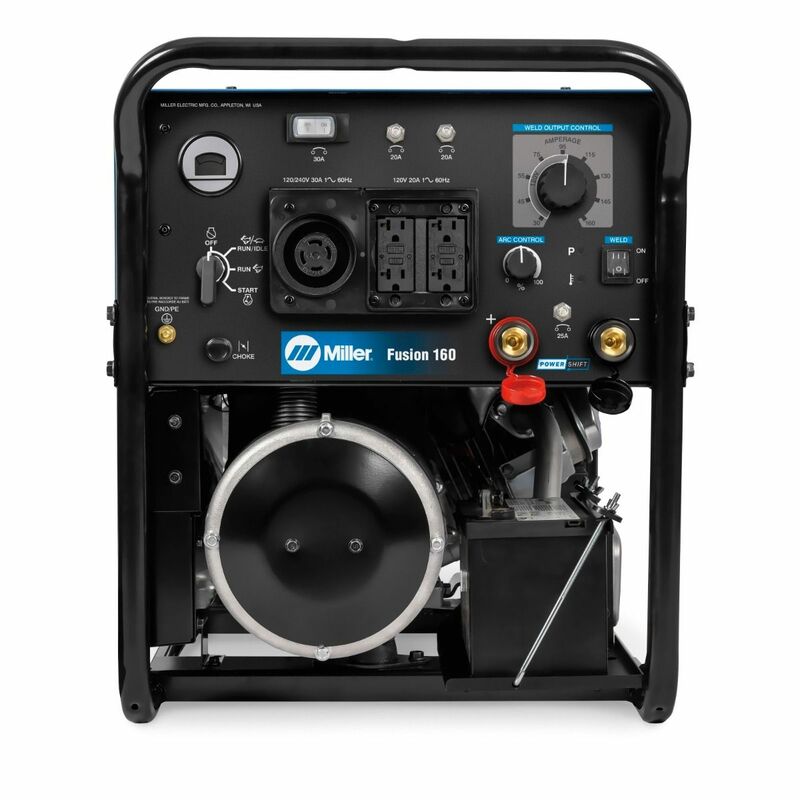 The Fusion 160 is capable of stick welding and air plasma cutting with the Spectrum 375. This generator features a 6,500 peak watt output, weighs only 222lbs, and electric starting method. 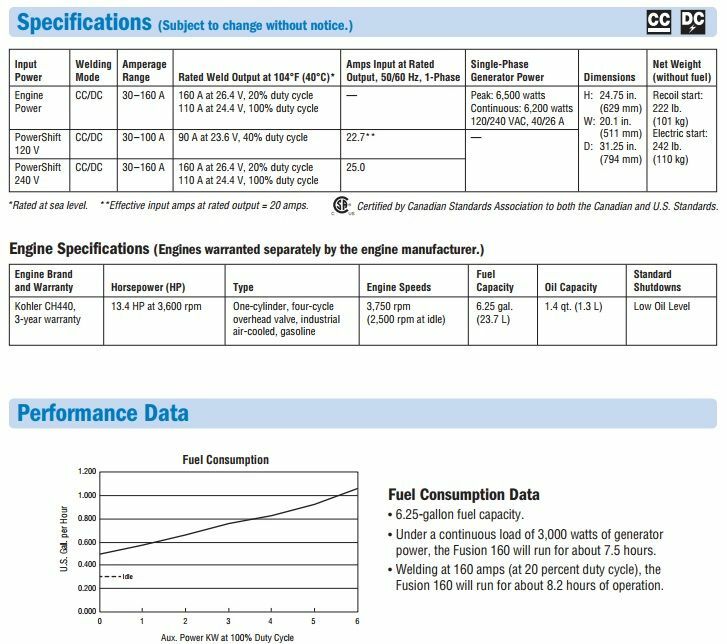 This model also includes the recoil start as a backup to the electric start. The Fusion uses inverter technology to deliver a smooth, stable stick arc that's forgiving of variations in arc length and travel speed. 5 stars - "new features" Tom Z. We have had great success with the Miller Blue Star and needed another one. The Fusion 160 has more features for greater versatility, and so far has been a great machine.